FFA - ISIS recruitment from Phoenix Mosque for attack in Garland Texas clearly shows why US District Court should not stop the NYPD from surveilling mosques. 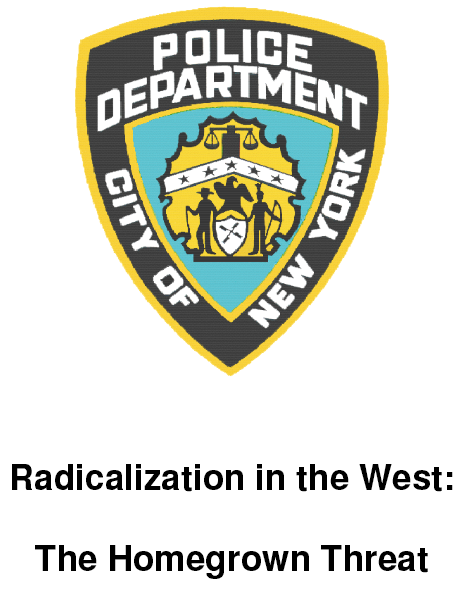 Mohammad Elshinawy, Asad Dandia, Masjid At-Taqwa, Masjid Al-Ansar, Muslims Giving Back and Hamid Raza sued the City of New York in an attempt to force the New York Police Department to remove their report titled Radicalization in the West: The Home Grown Threat. The lawsuit also sought to stop the New York Police Department from surveilling them and their mosques. More details regarding this lawsuit are posted below under Florida Family Association's January 18, 2015 email alert. Raza et al v. City of New York et al is pending in the U.S. District Court Eastern District of New York. Imam Siraj Wahha who runs the Masjid At Taqwa mosque was the key note speaker at the Garland Texas Islamist rally on January 17, 2015 that called for the defeat of Islamophobia. "Ready to defeat Islamophobia? This is not an event. It is the beginning of a movement. A movement to defend Prophet Muhammad, his person, and his message. Salla Allahu Alaihe wa Sallam. This benefit will raise funds to establish a Strategic Communication Center for the Muslim community, which will develop effective responses to anti-Islamic attacks. Two former attendees of the Islamic Community Center of Phoenix (ICCP), Elton Simpson and Nadir Soofi, were killed by police on May 3, 2015 after they shot at security detail for the “Draw Muhammad” cartoon contest in Garland Texas. 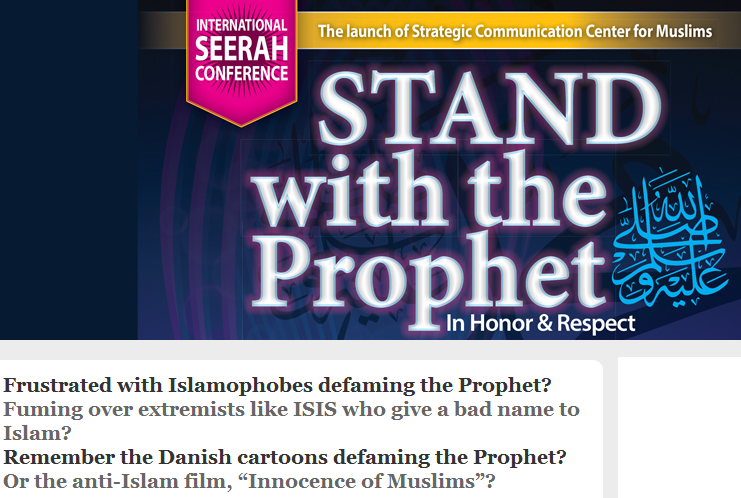 The “Draw Muhammad” contest was held in response to the Ready to Defeat Islamophobia conference held at the same convention center on January 17, 2015 just ten days after the Charlie Hebdo massacre in France. The “Draw Muhammad” contest also focused on concern that American leaders are espousing Sharia condemnation for daring to rightfully criticize Muhammad. Islamic Community Center of Phoenix now has four terrorists linked to their mosque. Usama Shami, president of the Islamic Community Center of Phoenix, said Simpson and Soofi attended prayers at the mosque but were not regular members. 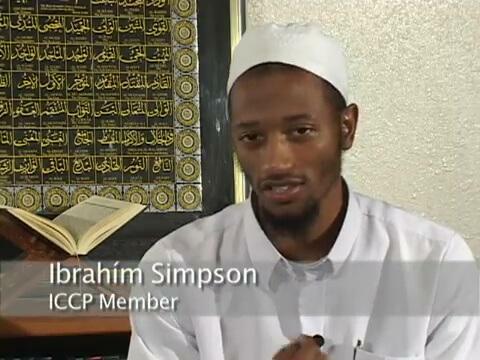 However, this Islamic Community Center of Phoenix Youtube.com promotion video shows that Simpson was a regular member. Simpson and Soofi were not the only two terrorists spawned from ICCP. Two other previous ICCP mosque attendees — Hassan Abu-Jihaad and Derrick Shareef — are currently in federal prison on terrorism-related charges. ISIS proclaims 71 soldiers in 15 states will kill the leader of the "Draw Muhammad" event and everyone who supported the event. To our brothers and sisters fighting for the Sake of Allah, we make dua for you and ask Allah to guide your bullets, terrify your enemies, and establish you in the Land. As our noble brother in the Phillipines said in his bayah, "This is the Golden Era, everyone who believes... is running for Shaheed". The attack by the Islamic State in America is only the beginning of our efforts to establish a wiliyah in the heart of our enemy. Our aim was the khanzeer Pamela Geller and to show her that we don't care what land she hides in or what sky shields her; we will send all our Lions to achieve her slaughter. This will heal the hearts of our brothers and disperse the ones behind her. To those who protect her: this will be your only warning of housing this woman and her circus show. Everyone who houses her events, gives her a platform to spill her filth are legitimate targets. We have been watching closely who was present at this event and the shooter of our brothers. We knew that the target was protected. Our intention was to show how easy we give our lives for the Sake of Allah. We have 71 trained soldiers in 15 different states ready at our word to attack any target we desire. Out of the 71 trained soldiers 23 have signed up for missions like Sunday, We are increasing in number bithnillah. Of the 15 states, 5 we will name... Virginia, Maryland, Illinois, California, and Michigan. The disbelievers who shot our brothers think that you killed someone untrained, nay, they gave you their bodies in plain view because we were watching. The next six months will be interesting, To our Amir Al Mu'mineen make dua for us and continue your reign, May Allah enoble your face. 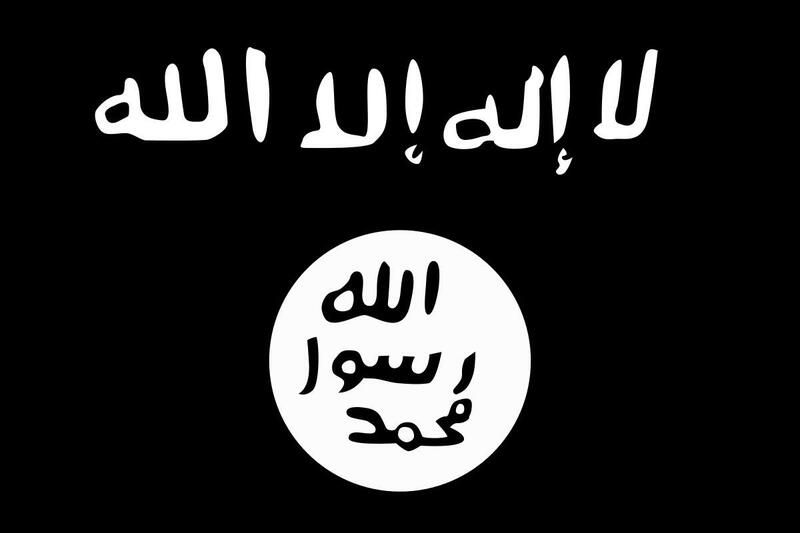 The original ISIS fatwa order is posted here. Clearly, an order by the U.S. District Court restraining the NYPD from surveilling mosques for potential terrorist activity and/or censoring the NYPD report titled Radicalization in the West: The Home Grown Threat would have dire consequences for the public safety of all Americans. Florida Family Association has prepared an email for you to send that urges Judge Chen and Magistrate Azrack not to restrict law enforcement from surveilling mosques and not to censor the NYPD report titled Radicalization in the West: The Home Grown Threat. Florida Family Association January 20, 2015 email alert. The federal lawsuit mentioned in the first paragraph of the New York Post article is Raza et al v. City of New York et al. This lawsuit seeks to stop the New York Police Department’s surveillance of specific Muslim individuals and mosques. Peter G. Farrell, Senior Counsel for the City of New York, wrote a letter to United States Magistrate Judge Joan M. Azrack in which he outlined some serious issues regarding is Raza et al v. City of New York et al. The NYPD's investigation of certain individuals associated with Plaintiff Masjid At Taqwa was based upon information about their lengthy history of suspected criminal activity, some of it terroristic in nature. This information includes but is not limited to: illegal weapons trafficking by members of the mosque's security team and the mosque caretaker both within the mosque and at the store adjacent; illegal weapons trafficking by certain attendees of the mosque; allegations that the mosque raî a "gun club"; and allegations that the assistant Imam had earmarked portions of over $200,000 raised in the mosque to a number of US Government-designated terrorist organizations. Certain individuals associated with Masjid At Taqwa have historical ties to terrorism. The mosque's Imam, Siraj Wahhaj, was named by the US Attorney for the Southern District of New York as an unindicted co-conspirator in a plot to bomb a number of New York City landmarks in the mid-1990s (the "Landmarks Plot"). Omar Abdel Rahman, known as the "Blind Sheikh," who is serving a life sentence in federal prison for his role in the Landmarks Plot, lectured at Masjid At Taqwa. Wahhaj testified as a character witness for Abdel Rahman during Abdel Rahman's terrorism trial. V/ahhaj also testified as a character witness for Clement Hampton El, a Masjid At Taqwa attendee who was convicted as one of the Blind Sheikh's co-conspirators in the Landmarks Plot. Members of the mosque's security team have instructed individuals on how to disarm police officers and have led martial arts classes involving individuals convicted on terrorism charges. Since at least 2003, Masjid At Taqwa members have participated in and sponsored paintball exercises and survival training outside New York City, activities which have been carried out for training purposes by violent extremists in multiple terrorism cases in the United States and abroad-such as the "Virginia Jihad" case, the Fort Dix plot, the 717 attacks in London, and the UK fertilizer bomb plot ("Operation Awakening"). On one of these outings, the leader of Masjid At Taqwa's security team instructed the members of his paintball team to "form up, jihad assassins" and called them his 'Jihad warriors". Farooque Ahmed, who is currently incarcerated after pleading guilty to terrorism charges in connection with a plot to bomb the Washington, DC metro, promoted and participated in at least one of these trips. Mr. Farrell’s letter outlined many more public safety concerns related to this lawsuit. Click here to read Mr. Farrell’s letter. The Masjid At Taqwa mosque is run by Imam Siraj Wahha who was the key note speaker in the Garland Texas Islamist rally on January 17, 2015 that called for the defeat of Islamophobia. 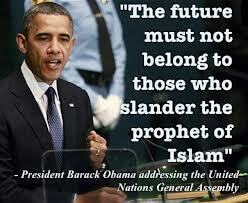 The Islamist lawsuit was assigned to United States District Judge Pamela K. Chen. The case was referred to United States Magistrate Judge Joan M. Azrack. Contact information is being omitted for strategic reasons.